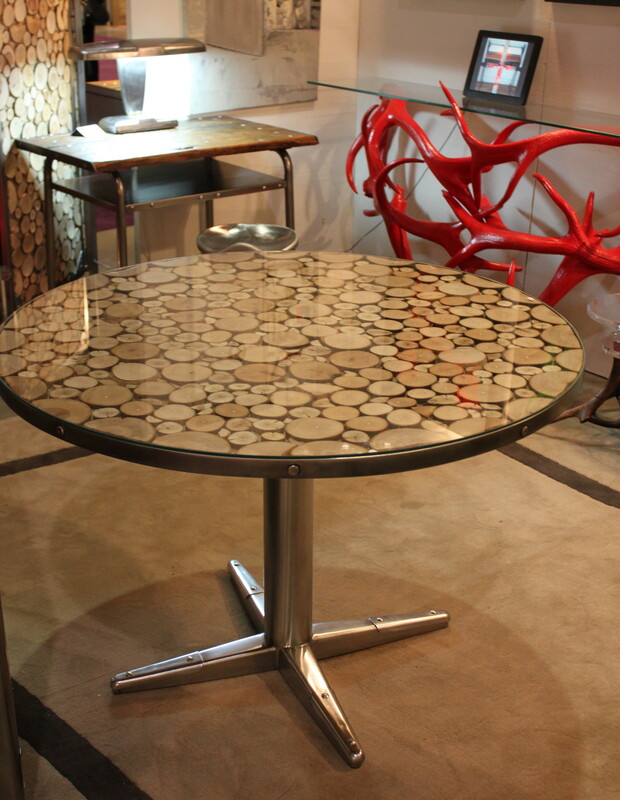 In a well designed space, you often need a star piece to anchor everything else. Unless you have an unlimited budget, finding something original and interesting is challenging. 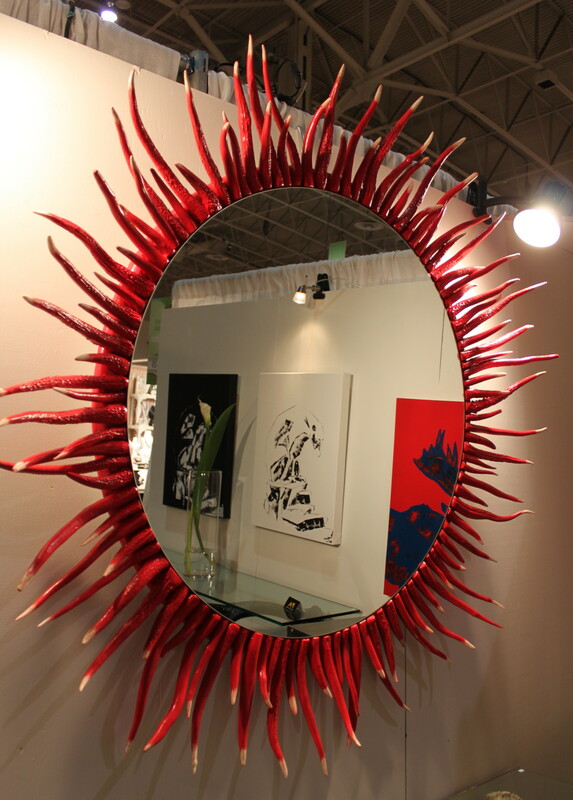 I met a talented couple at the One of a Kind Show this year who create furniture that makes a real statement. It’s the first time they’ve exhibited their work in Toronto and they got a warm reception. Philippe and Anne Pallafray have style. You can see it in the way they dress and in the furniture they create. 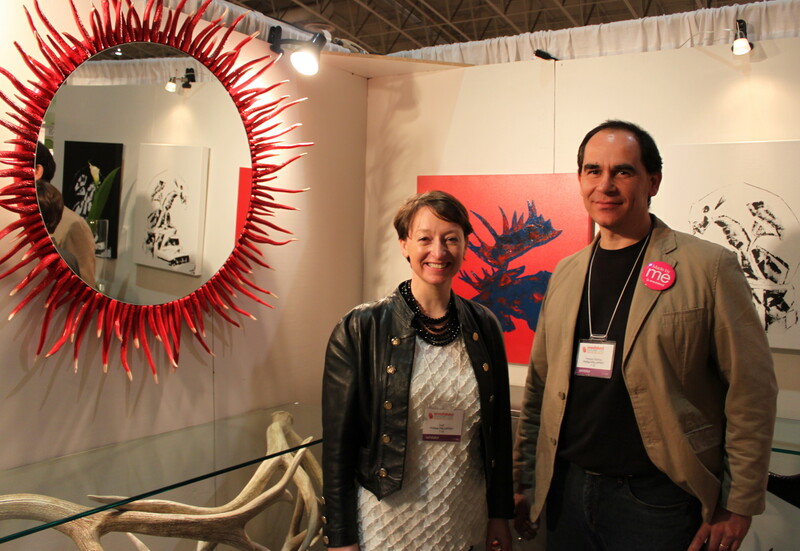 Art dealers for more than 20 years in France, they came to Canada five years ago. Anne smiles when she says, “this is a new beginning for us.” Today the environmentally conscious couple are giving “new soul to recycled materials” like wood, animal tusks, metal and glass. 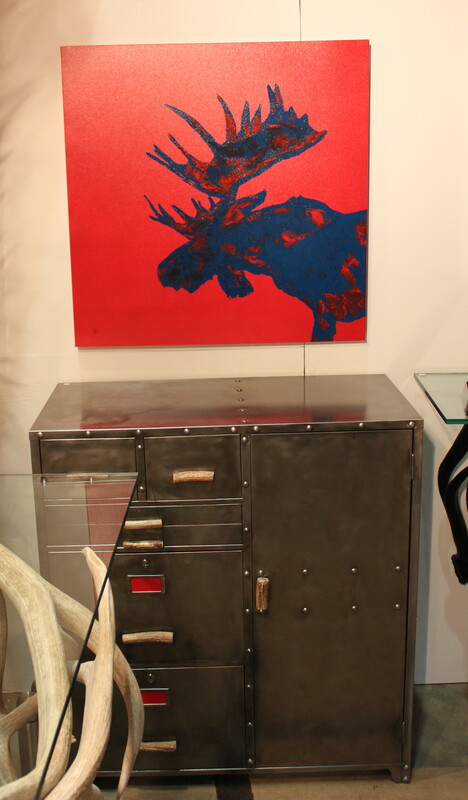 Each piece of the Pallafray’s furniture is unique,whether it’s a console, lamp, desk or piece of sculpture. 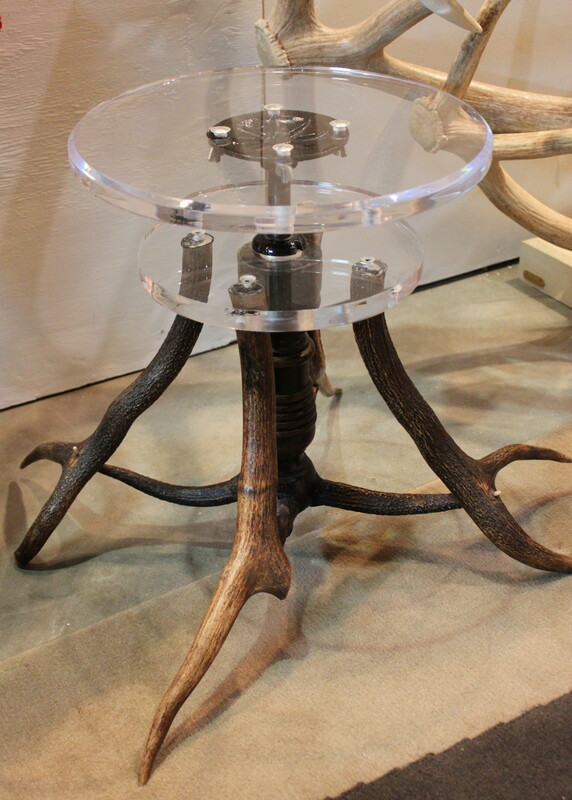 Philippe explores the countryside and industrial sites near their home in Isle d’Orleans Quebec to find unusual pieces and gives them a second life. Anne, who is trained in French classical painting also has a Law degree. I love the way they’ve put their signature on each piece. They only use tusks that have been shed naturally. “Some people say they love art but they don’t need it,” says Anne. “Well, this is functional art.” If you’re drawn to a warm industrial vibe, you’ll want to take a closer look at their work. 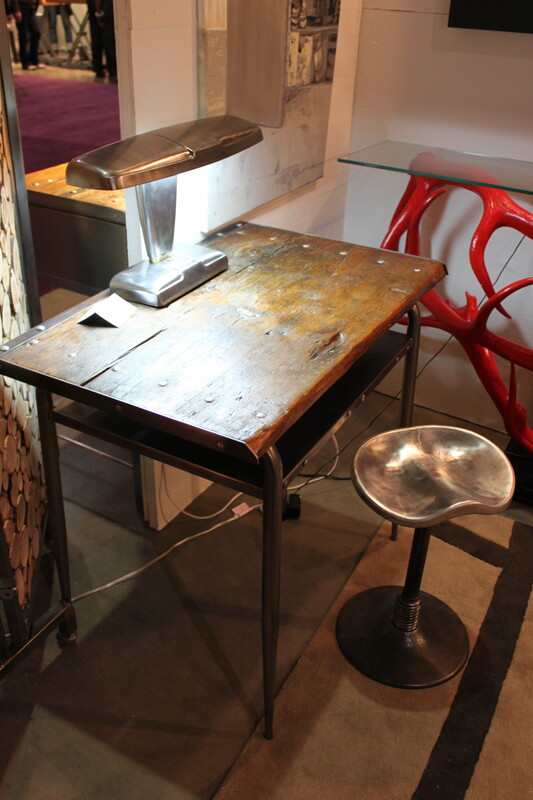 This piece reminds me of a school house desk I refinished many years ago. 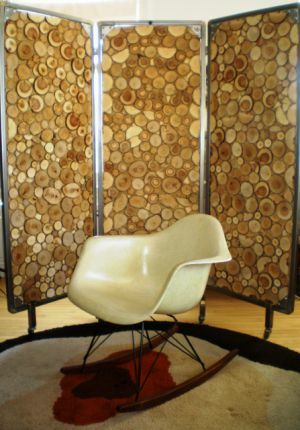 I love how it looks paired with an industrial stool. 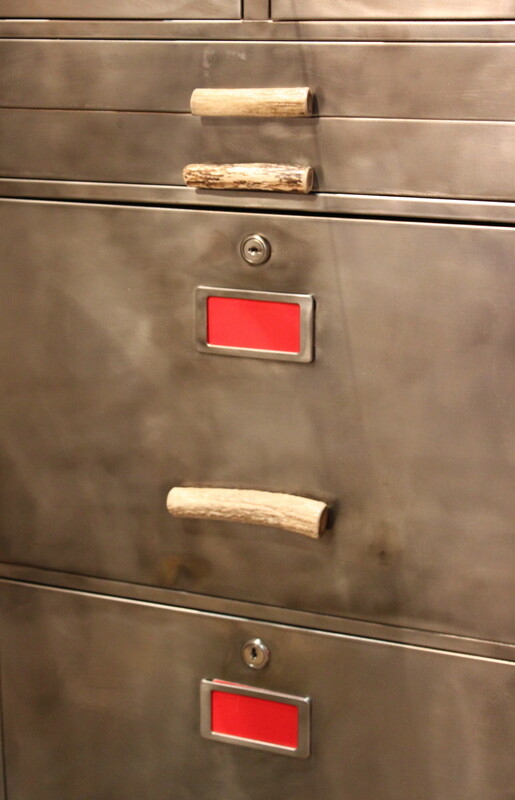 An interesting take on a metal filing cabinet. 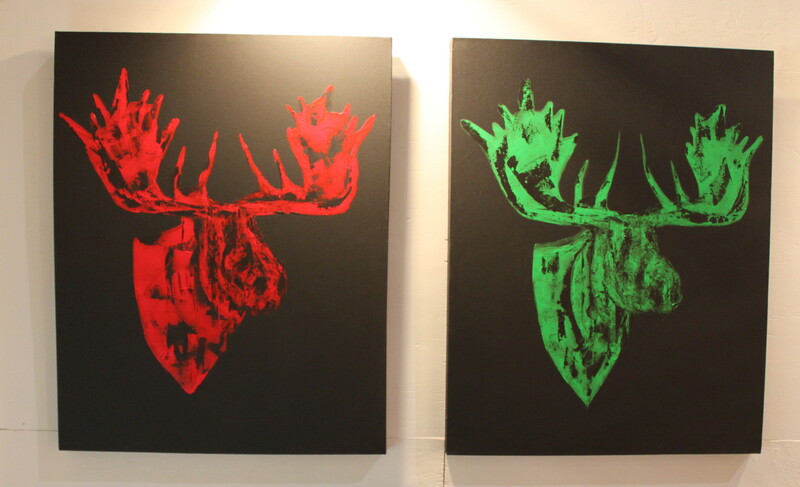 To learn more about the Pallafray’s work, check out their website here.